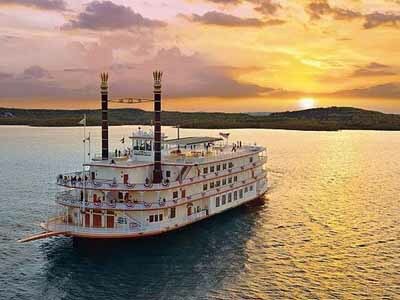 “Made In The USA” Dinner Show: The Showboat Branson Belle’s patriotic passion takes center stage with the exciting production – Made In The USA! Aerial violinist Janice Martin will take you to new heights with unparalleled musicianship and gravity defying feats. Singing group The ShowMen will move you with their sublime harmonies. Plus, Made In The USA is hosted by the irrepressible comedian/magician Christoper James, and backed by the Showboat Branson Belle’s own live band, Rockin’ Dockers. Made In the USA is a rousing musical salute to the land that we love. Every musical moment of this show is dedicated to America, from pop and folk hits to a grand finale that will make hearts swell with pride. 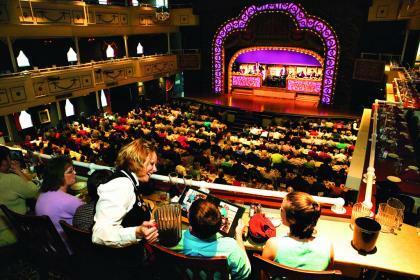 Join us for an unforgettable musical journey! Children’s Menu (ages 4-11): Chicken Strips, macaroni & cheese and steamed vegetables followed by a Mud Puddle Sundae dessert. All meals include Coffee and Tea. A vegetarian meal is available upon request. Gratuity is not included in your ticket price and would be most appreciated by your wait staff. 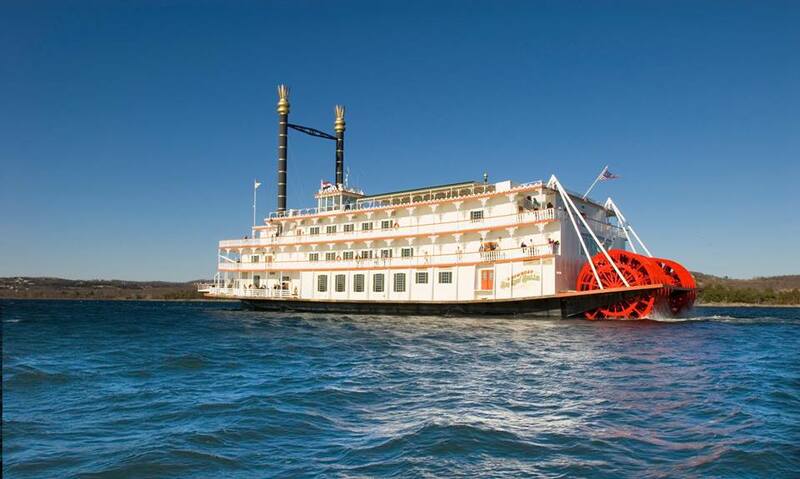 Specialty dining options include the Paddlewheel Club Room and Captain’s Row.